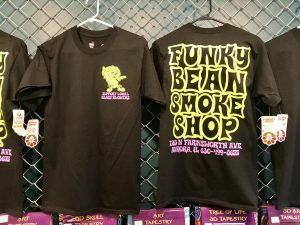 Funky Bean T Shirts have now arrived! All customers will receive a free t shirt when they make a purchase of $100 or more! If you would like to purchase one individually they are on sale for only $14.99! We hope you enjoy these and remember to always support local shops and artists!